It was a proud evening for Maritzburg United as they claimed both the Team of the Year and the Coach of the Year awards at a glittering ceremony at the Durban ICC on Tuesday night. Midfielder Siphesihle Ndlovu was meanwhile pipped to the Sports Personality of the Year accolade by women's Blitzbokke Star Zihle Ndawonde. 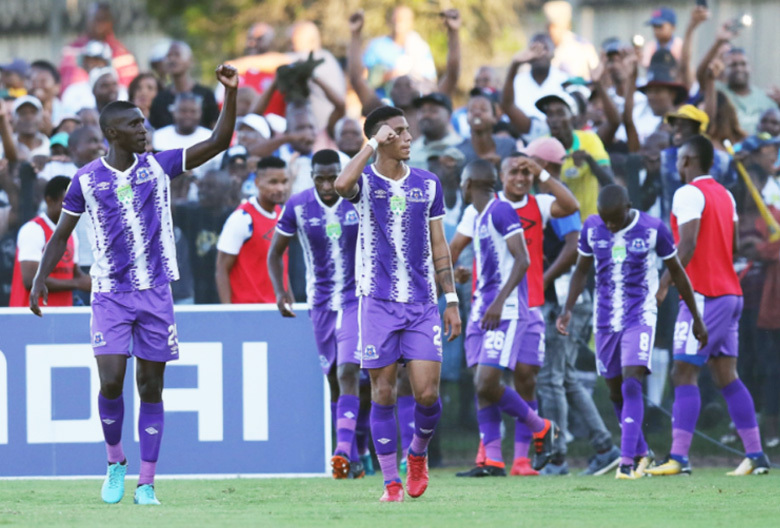 Nevertheless it was a memorable night for the Team of Choice as their superb 2017/ 18 campaign – which with a young squad brought about a fourth-placed finish in the Absa Premiership as well as an appearance in the Nedbank Cup final – was recognised by the KZN province. While many would credit coach Fadlu as the catalyst for the wonderful campaign, he was quick to point out that it was the efforts of everyone involved at the KZN Midlands club which resulted in success. “It’s not an individual award, the technical team must also take the credit. All the hard work that goes on behind the scenes, it’s not about me, I’m only the face and the one driving everything,” said the former Team of Choice striker. “Its management too, all the way down, from the chairman, the directors, and of course the players, the ones that execute everything and make it a success. “A lot of the hard work nobody sees. It’s a 24-7 job, you don’t stop. These awards give you a sense of satisfaction, but like I said, this award is not only mine, it’s for the club and the players. “I have to credit my father, who pushed me from a young age, took me to training - while other kids were still sleeping I was on the training field alone with the ball. He put that work ethic in me. “Of course my wife and family at home are always there to support me. And I must credit Ernst Middendorp as well, he took me under his wing, taught me everything he knows and was very open in terms of empowering me. Club captain Siyanda Xulu meanwhile was thrilled to accept the Team of the Season award on behalf of the club and his team-mates. “Last season was a great season and its shows we can achieve anything,” the Bafana defender said. “You look at the unity we have at the club, I believe that this season we can achieve even more.